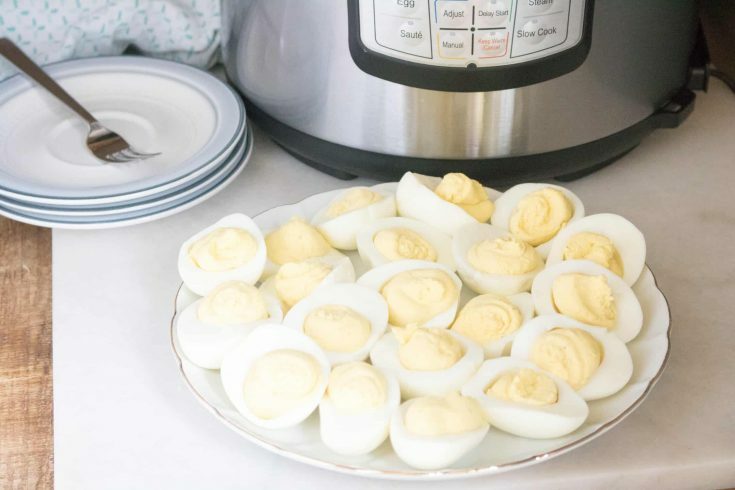 Making this Instant Pot Deviled Eggs Recipe brought back memories of an office I worked in where it was customary to bring treats to birthday celebrations. Naturally, there were plates upon plates of sweets; brownies, cookies, and lots of donuts. But, one co-worker consistently brought in deviled eggs. We lived for those deviled eggs and they were always the first thing to disappear. 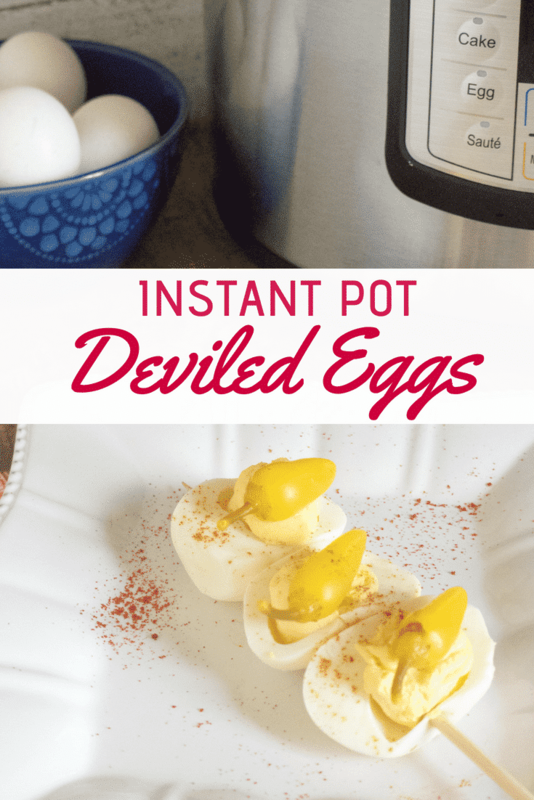 Now that I have this amazingly quick and easy Instant Pot deviled Eggs Recipe, I am going to carry on that tradition and bring deviled eggs to all sorts of potlucks, parties and celebrations. And these Instant Pot Deviled Eggs are everything that’s great about the classic and beloved appetizer, but made with a modern twist thanks to the Instant Pot! Using the Instant Pot to cook your eggs means you will have perfect hard-boiled eggs (technically they are steamed, not boiled) every time. No more boiling water, dropping in the eggs and crossing your fingers that they are done properly and will peel easily. The Instant Pot eliminates all the guesswork and guarantees perfection each and every time. Because they are so quick and easy! The eggs will be cooked in just 5 minutes (with an additional 5 minutes pressure release). Then simply mix together a few basic ingredients that you most likely already have on hand, and you have a creamy, delicious deviled eggs. Plus, they are bright and cheerful! With the yellow filling and paprika sprinkled on top, they are bright and sunny and will make you smile. Looking for additional party food or side dish ideas? Then check out these other tasty and crowd-pleasing recipes! Another classic side dish recipe, made simple thanks to the Instant Pot. Instant Pot Heirloom Potato Salad. Yum! This 7 Bean BBQ Instant Pot Baked Beans recipe takes another classic to an amazingly tasty level. So much flavor!! Pasta salad is always a great side dish, too. This Summer Orzo Salad recipe is fun because it uses an interesting, little-known pasta and has incredible flavor. Step #2: Add eggs to a steaming basket or to the trivet over water. Step #3: Close the lid on the pressure cooker and then turn the valve to sealing position. Step #4: Set to a manual high time for 5 minutes. When the cooking time has finished, do a natural release for 5 minutes before releasing the rest of the pressure. 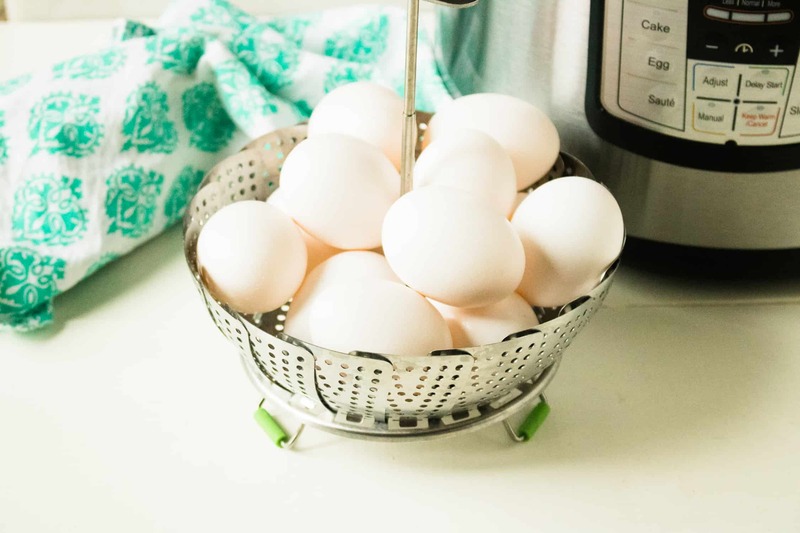 Step #5: Remove eggs from the steamer basket and then place them in an ice water to stop the cooking. Step #6: Next, slice eggs in half lengthwise and place yolks in a separate bowl. 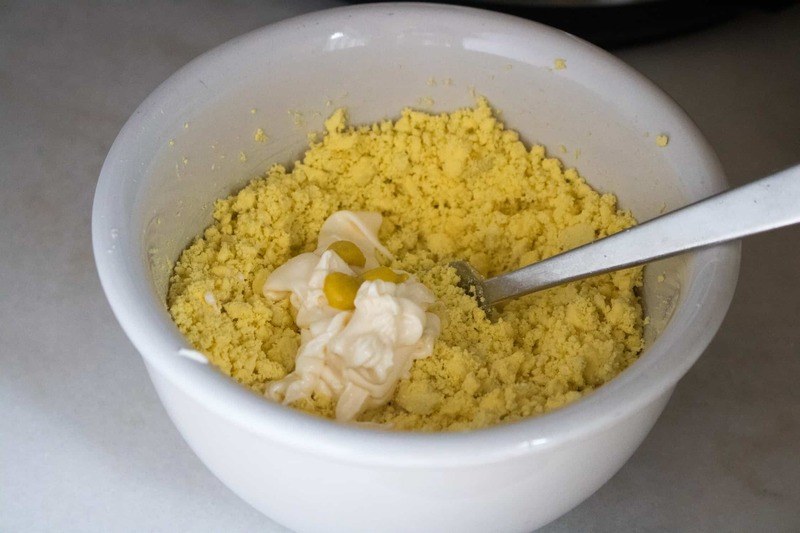 Step #7: Mix yolks together with the remaining ingredients. Step #8: Pipe yolk mixture into egg halves and then top with additional paprika or other toppings as desired. Enjoy! 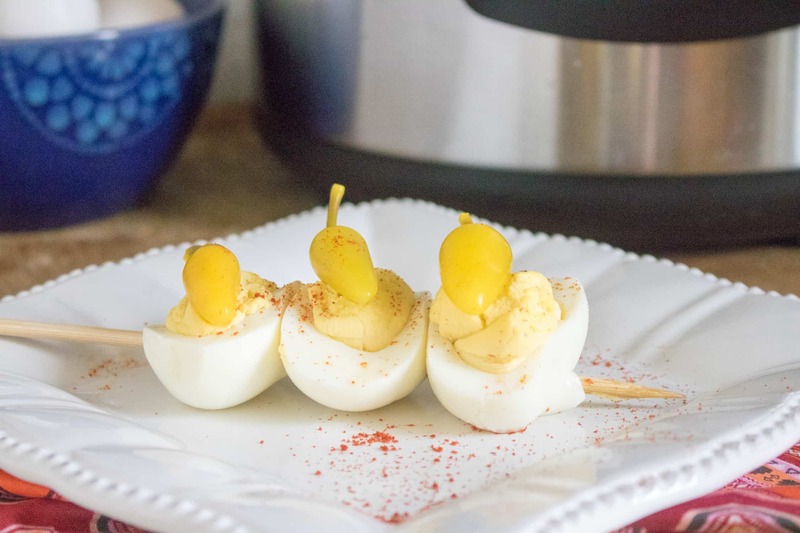 This Instant Pot Deviled Eggs recipe is a quick and easy way to make a party food favorite.